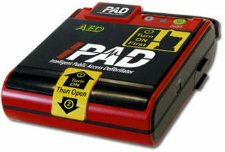 The Zoll AED Plus Defibrillator is an automatic external defibrillator that features both visual & audible prompts that make it easy for you to use it in a confident manner. 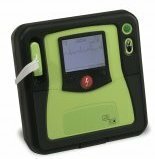 The AED Plus is the base model in the Zoll range and is suitable for all types of workplaces,public access and private settings. 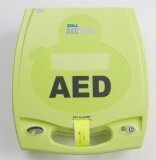 One of the many advantages of the Zoll defibrillator range is that they use standard C lithium batteries so you don’t have any expensive or hard to obtain battery replacements,also they have a seven year warranty – the longest warranty of any defibrillator on the market.